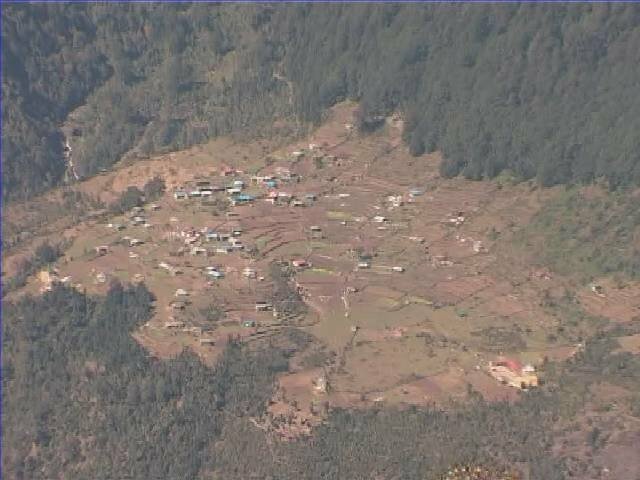 Helambhu or Yolmo is situated north of Kathmandu, close to the border to Tibet. 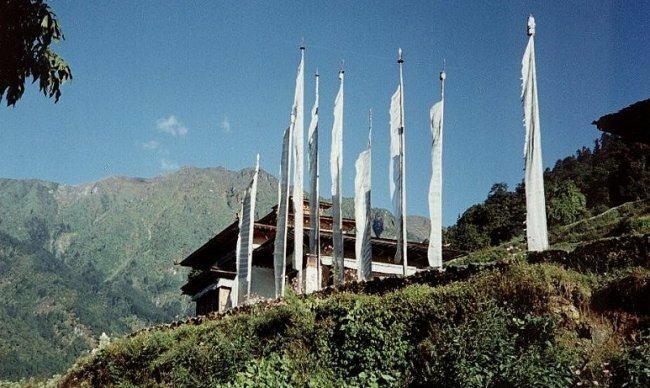 In ancient times it was occasionally part of South-Tibet and shares therefore the Tibetan culture. It is famous for its scenic beauty and is an unbelievably sacred site. 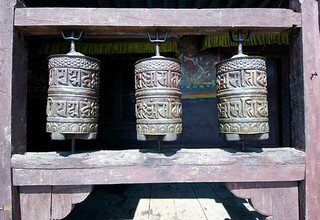 Also known as Kerung, it is a treasure of Buddhist Dharma, but a quite unknown destination on the tourist map of Nepal and within unexposed to tourism for ages. Yolmo is one of the seven ‘Hidden Valleys’ (tib. 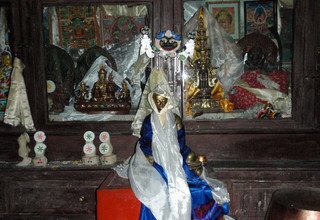 bayül), which have been discovered by the Tibetan saint Rigzin Godem (1337-1408), where the people can live in happiness and which are beside others particularly useful to practice Buddhist meditation (beside Khumbu, Rongshar, Lapchi, Dolpo, Nubri und Sikkim). 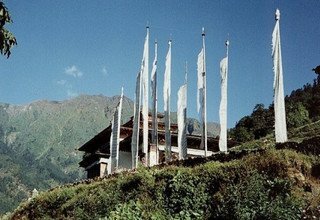 Therefore it represents the great historical, cultural and spiritual heritage of the ancient Nyingma-pa (particularly Byangter-Lineage) and Kagyu-pa schools of Tibetan Buddhism. 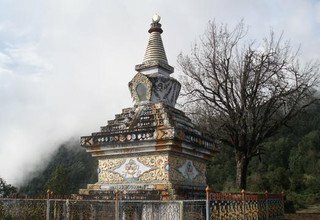 It was Yolmo, where the Guru Padmasambhava meditated many years and blessed these beautiful mountains on his way to Tibet during the middle of 7th century. 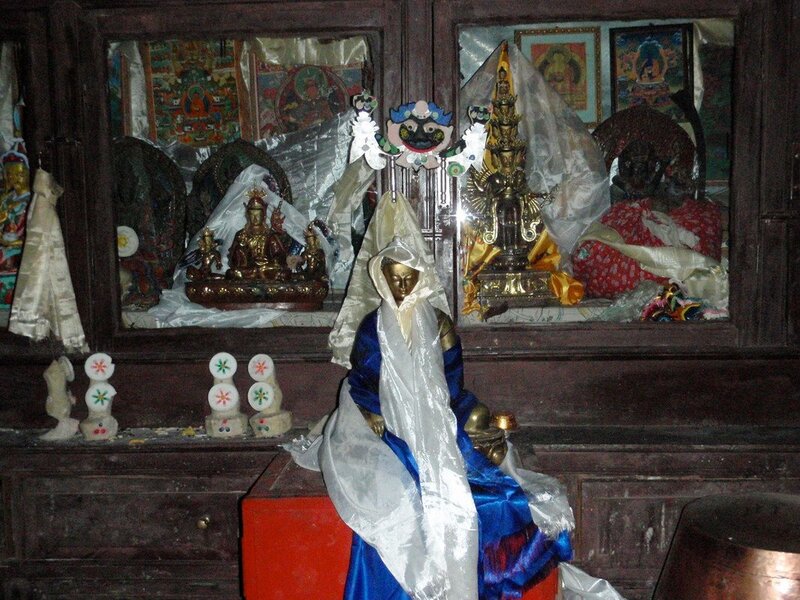 Tibet’s great Yogi Milarepa also came here and meditated in a cave during the 10th century for many years. He also blessed this place before he went back to Tibet. The legend tells that he was able to fly after this meditation retreat. 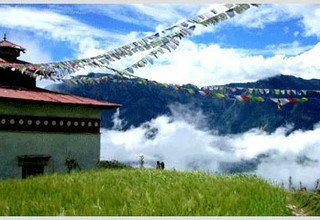 We choose this Tour for ‘Trekking and Meditation’, because there are many magnificent old monasteries and cultural power-places, which are definitely beneficial to pilgrims. Also because it is one of the seven holy ‘Hidden Valleys’, it will make it particularly useful for your meditation. 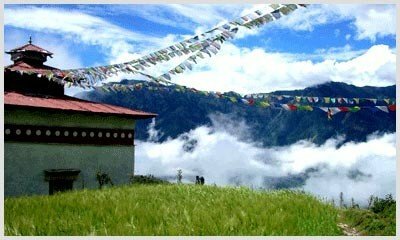 If you need Meditation instruction you can get this at day 2 a short introduction to Shamata Practice and then you meditate on your own on the trek. Day 3: Drive from Kathmandu to Melamchi Pul 4-5 hours & trek Kakani 1996m/3-4 hours. In the morning after breakfast, our private vehicle comes to pick up us in hotel. Drive from Kathmandu via Dhulikhel to Malamchi Pul viewing Langtang range during the drive, which takes about 4 hours. Then we will have lunch break there. 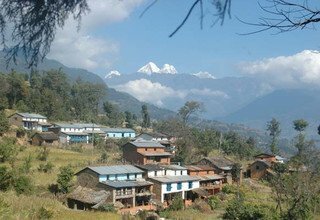 After lunch, the trail continues steep ascent until reaching Tamang village in Kakani. It takes about 3 hours. Stay overnight in Lodge. Day 4: Trek from Kakani to Sermanthang 2590m/4-5 hours. We start our trek after breakfast, the trail continues gentle ascent through the Pine Tree forests until reaching Sermanthang village. It takes about 4 hours. We will have lunch break there. After lunch, we can visit the monastery and go on a village tour. Overnight in Lodge. Day 5: Trek from Sermanthang to Tarkegyang 2740m/4-5 hours. We start on a level trail, passing a Mani wall and Chhortens and walk through forests untill we reach Ganjawal village, which takes about 2 hours. 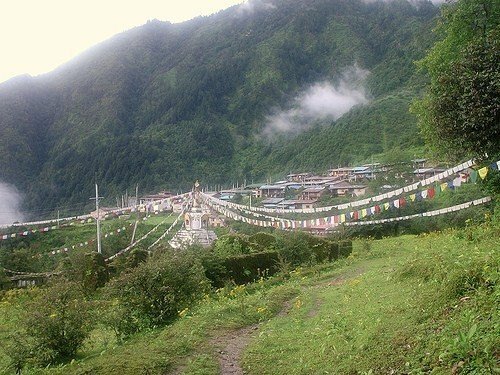 We can visit a splendid monastery in this village. We will have lunch break there. 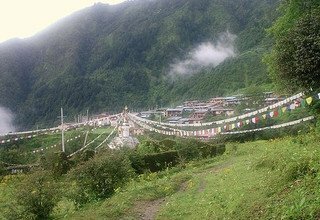 Then we continue our trek through the Rhododendron forests until reaching Tankegyang, the largest Sherpa village in the region. It takes about 2 hours to reach. We can visit again other interesting monasteries. Overnight in Lodge. 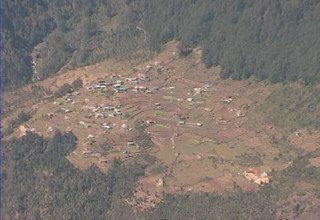 Day 6: Trek from Tarkegyang to Melamchi Gaon 2530m/4-5 hours. In the morning, we continue in steep descents to the Melamchi Khola, which we cross by a suspension bridge, by which we passing a huge Chhorten. It takes about 2 hours to drop down. After then, we climb up steeply through the Rhododendron forest, passing the many Chhortens until we reach the Malamchi gaon, which will take about 2 hours. This village is also another prosperous Sherpa village. After lunch, we can visit again a monastery with guide. Overnight in Lodge. Day 7: Exploring the Sacred Site of Melamchi Gaon. Today, we will explore all the sacred sites of Yolmo, as like the Padmasambhava-cave, a holy pond and the monastery, as well as the village itsself. Overnight in Lodge. Day 8: Trek from Melamchi Gaon to Thimbu 1580m/4-5 hours. Today the trail descends steeply through the forests and crosses by a suspension bridge. We continue the trek upstream of Melamchi Khola again, until reaching Thimbu village. It takes about 4 hours to arrive. We will have lunch here and stay overnight in Lodge. Day 9: Drive from Thimbu to Kathmandu by private vehicle 5-6 hours. Our private vehicle comes to pick us up in our lodge. At the beginning the road is rough untill Melamchi Pul and continues after then smoothly, until we reach Dhulikhel, which will take about 4 hours. We will have lunch here with a breathtaking view of the Langtang range. After lunch, we will continue our drive down to Kathmandu, with the transfer to the Hotel. * 4 nights accommodation in twin bed sharing basis with breakfast at 3*** hotel in Kathmandu. 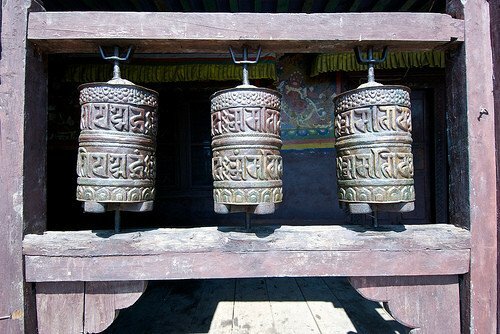 * Kathmandu city tour as per above mentioned itinerary and entry fees.